Birla Mandir Jaipur is dedicated to Lord Vishnu and goddess Lakshmi, therefore it is also known as Laxmi Narayan Temple. It is a part of several temple Birla Temple located around the country. It is among the must visit places of the Jaipur, Rajasthan. It is located on the foothills of Moti Dungri fort in Jaipur. It is made of white marbles and ambiance of the temple is very peaceful and divine. Construction of Birla Temple, Jaipur started in 1977 and is last long for continuous 8 years. 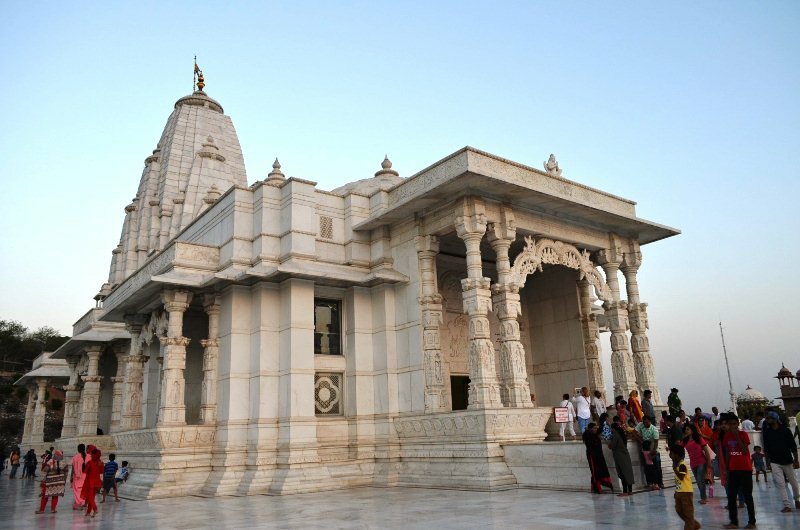 The construction of the Laxmi Narayan Mandir was completed in 1985. It was formally opened for the general public on 22nd February 1987. The founder of the temple is a Birla Group of Industries, who built many Birla temples throughout the country. Three domes are built inside the temple and the temple is surrounded by lush green gardens. 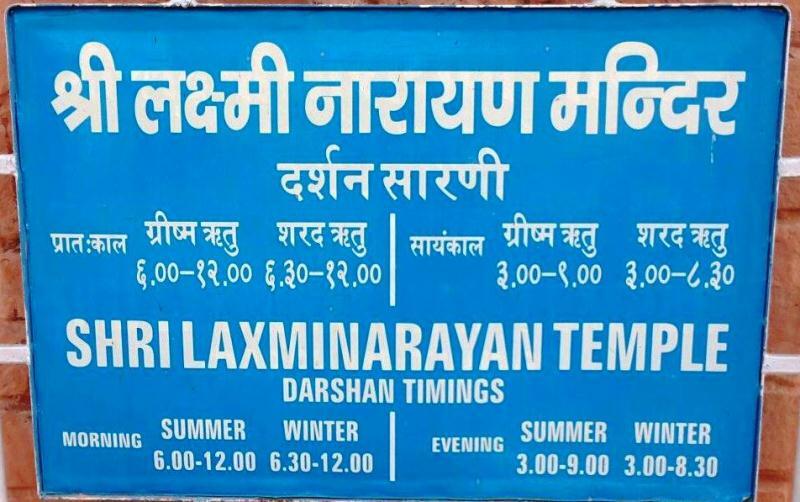 Birla Mandir Jaipur Timings are from 6 AM to 12 PM and 3 PM to 9 PM in summers. 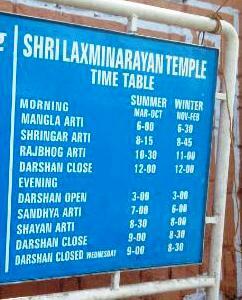 In winter the opening time of Birla temple is 6.30 AM and closing time is 8.30 PM. It remains closed during afternoon hours from 12 PM to 3 PM. Various Aarti are performed in the temple for offering prayers to the God. Birla Mandir Arti timing starts from 6 or 6.30 AM (as per the season Summer or winter) in the morning with Mangla Aarti. Entry is free inside the temple. Birla Mandir is located in Tilak Nagar precisely on the intersection of Shanti Path and Jawahar Lal Nehru Marg. Distance from Jaipur Railway Station is 5 KM and nearest metro station Jaipur Railway Metro Station, which is around 4.5 KM from here. Shoes are not allowed inside the temple. The paid Shoe deposit counter is available in the temple premises by paying a minimal amount of 2 Rs. Washroom and drinking water facility is available for the pilgrims. The whole complex is under the supervision of CCTV cameras for the safety of visitors. Paid vehicle parking is also available. Photography is not allowed inside the temple, however, visitors can click the pictures of the Mandir from the outside. Birla Mandir is most visited temple of Jaipur and it is very popular among the visitors. Shri Krishna Janmashtami celebrated here on grand level. Also visit Amer fort, Jaipur Zoo, Hawa Mahal, Jantar Mantar in Jaipur city.